Situated on what is known as "The Bay Walk" at 1 Henley Marine Drive in Drummoyne, The Watershed Kitchen is an excellent spot for a relaxing meal. With views of planes and boats to keep kids happy (well, mine anyway), the outlook over Drummoyne Pool and the Bay is made the most of by the floor to ceiling windows. 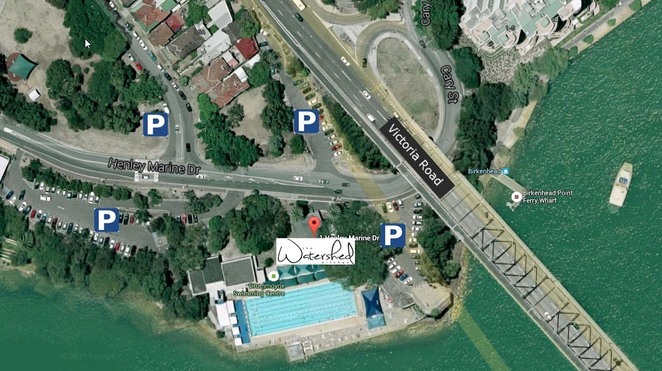 Great location and plenty of parking around. We have been here a few times now and have always enjoyed it. It's bright and airy, family friendly, reasonably priced, the food is good and it also has two outdoor areas. There is a balcony area and a pet-friendly area out the front, water bowl included. A bonus for your furry friends. 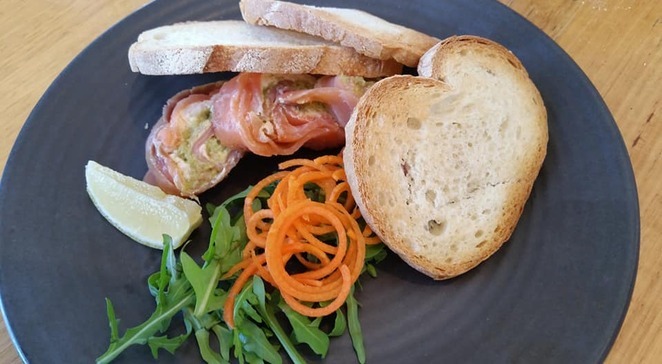 I started with the Smoked Salmon and Avocado Terrine, it was absolutely delicious and very more-ish. 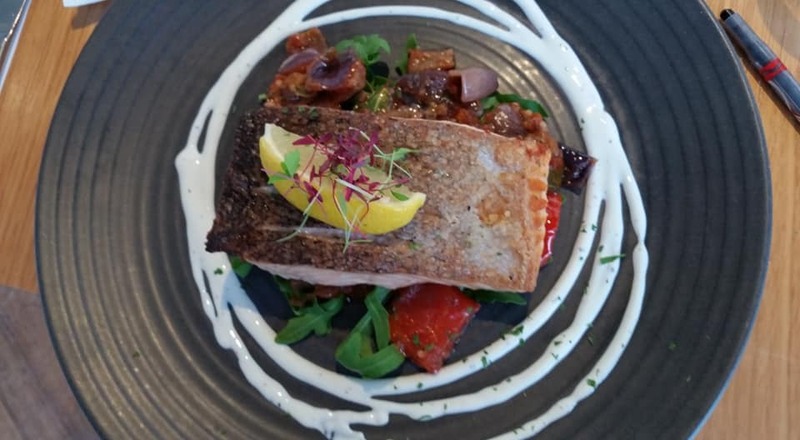 For main I had the Crispy Skin Salmon with Mediterranean Vegetables which was also really good. They do great salmon dishes here, I have whichever one is on the menu on the day. 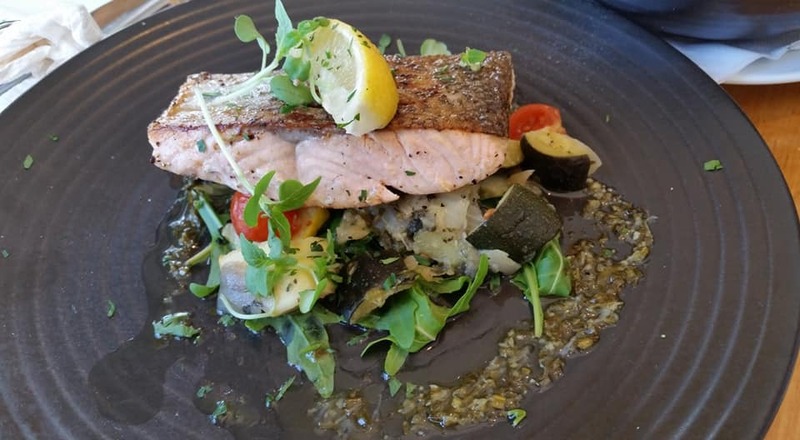 This was a Salmon dish i particularly loved at The Watershed and returned a few times for it. My son had his usual Fish and Chips, swapping aioli for tomato sauce. 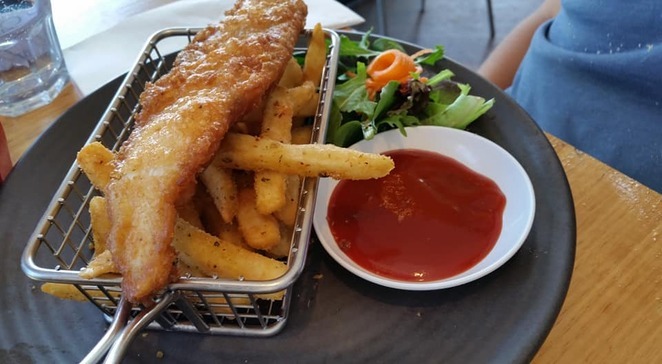 The other kids choices are Steak with veggies and mashed potatoes, Chicken Schnitzel & Chips, Spaghetti Bolognaise and every kid's meal includes a child size soft drink and a serve of vanilla gelato with chocolate or strawberry topping at $14. 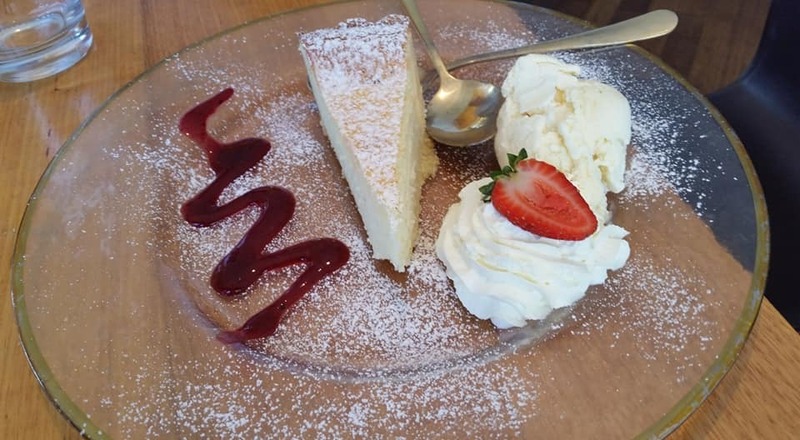 Desserts have never disappointed and this time I went for an old favourite, Baked Ricotta Cheesecake. Always so good. I have found the service to always been attentive with no long waits. They have lots of different menu choices including mid week set menus, breakfast and brunch and all day menus. You can view all the menu's here. They have some pretty cool photos on Instagram plus you can also follow them for more info via their Facebook page. They are open Mon-Thurs 7am - 3.30pm, Fri-Sat 7am - 9.30pm and Sunday 7am-5pm. Reservations can be made by calling (02) 9719 3022.